It’s time for Hanukkah and that means it’s dreidel time. I mean droidel. With all of the Star Wars stuff going on right now, it is the perfect time to incorporate your love of Star Wars with hanukkah. 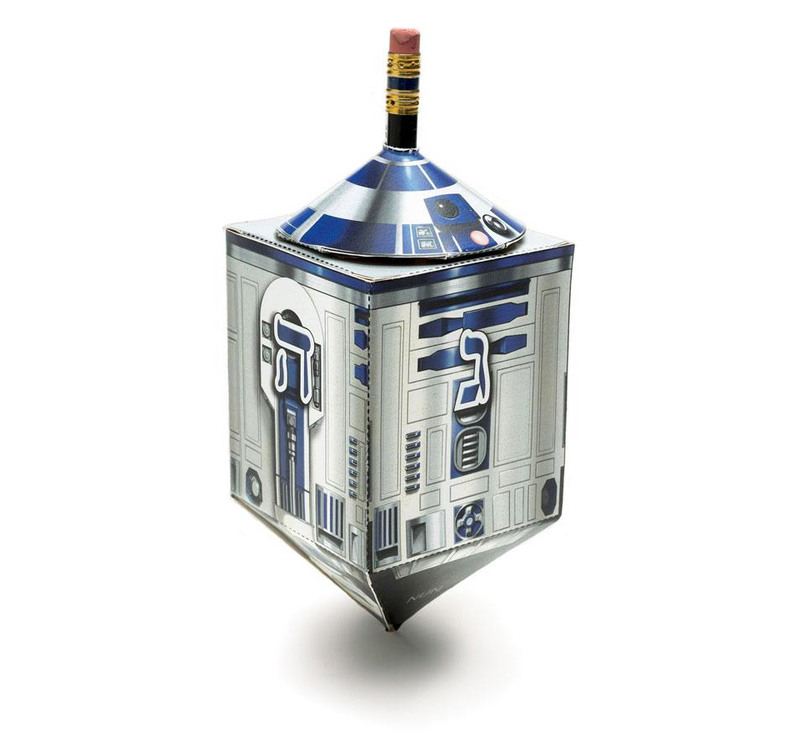 This R2-D2 dreidel is just what you’re looking for. Not that silly rolling droid from The Force Awakens. Have a happy Hanukkah and a happy new year. You can download or print this droidel template from Bonnie Burton’s Star Wars: Craft Book. Have fun with your droid. Even if you don’t celebrate this holiday it is a fun toy that you can make for yourself. You can never have too many droids.